I'm always amazed by your composition and the way you balance your lights and darks—gorgeous! Thanks a bunch for drawing my gal!!! Consistently surprised by your inks, Andy, another great job! my god i love this drawing, andy. it looks french (in a good way). is it on that same slick paper you were using at heroes? 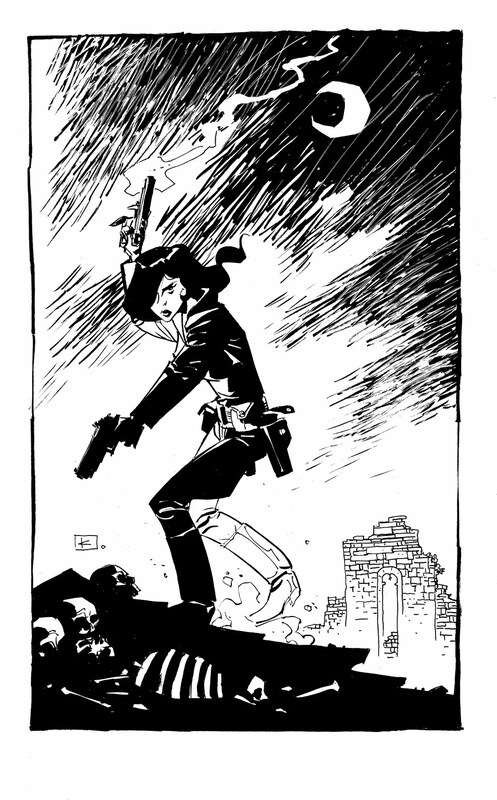 with a couple of exceptions tom, most of my twart drawings including this one, were done on two ply bristol. Fantastic! I love her pose (obviously) and especially the composition. I can tell there's a tale waiting to be told here, Andy! A sure sign of a fantastic pinup!